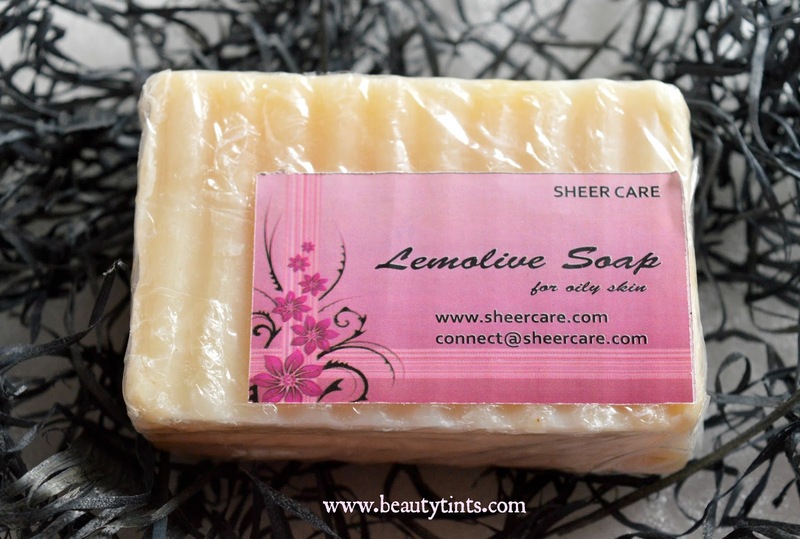 Sriz Beauty Blog: Sheer Care Lemolive Soap Review!!! Sheer Care Lemolive Soap Review!!! 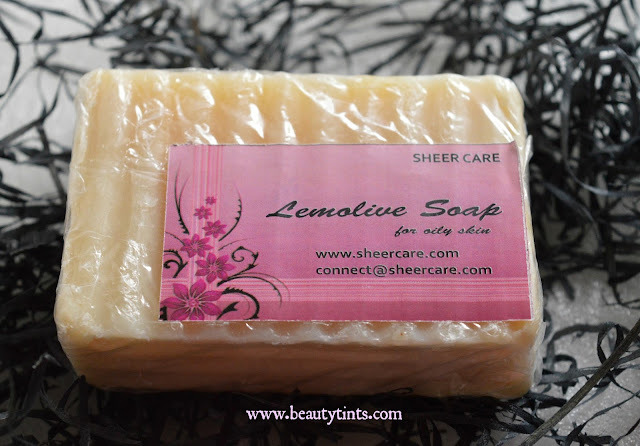 Few weeks back I have reviewed Sheer Care Goat milk soap and today I am reviewing one more soap from the brand,which is their Lemolive Soap,meant for oily skin. What the Brand Says: We prepare our products without using any 'harmful chemicals' We use natural colorants, skin safe fragrances, essential oils, pure carrier oils,clays, herbs,fruits,flowers,etc used fresh and raw, in correct proportion to formulate our products, to provide you a safe and healthy daily care, and a toxin-free routine. 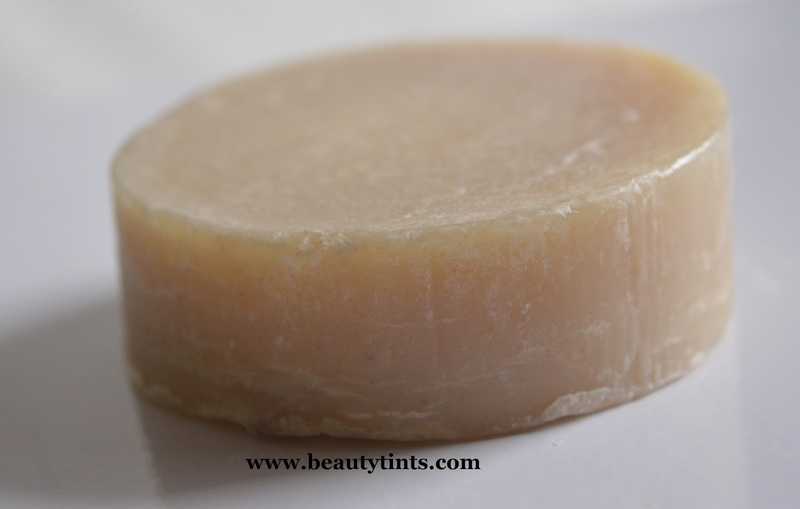 We do not buy pre made bases of skincare products, add on something, and claim 'handmade'. 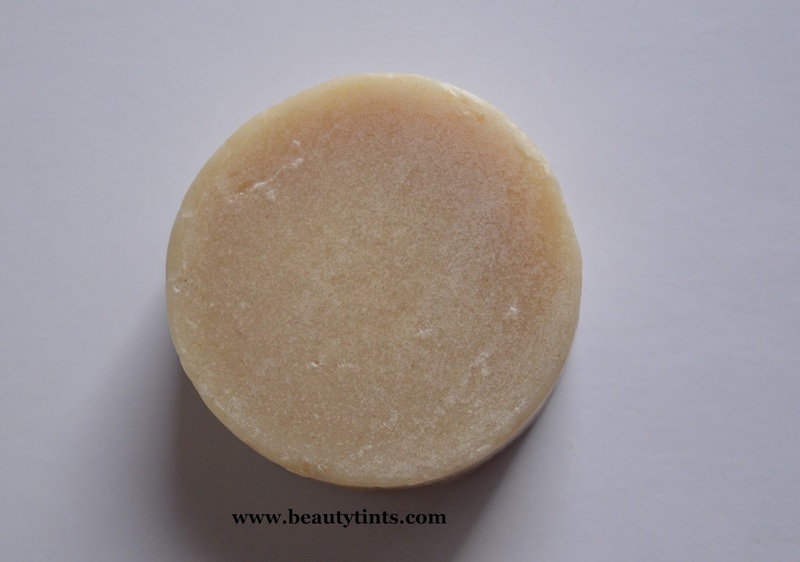 We prepare each product from scratch,in small batches,so that we use least amount of natural preservatives to reach you safely and remains intact till consumption, ensuring highest quality product for you. We prepare these products at home,as well as cut ,wrap and label at home. You may not find the packaging very attractive like other sellers, but we assure you of a genuine quality product for the price you pay! 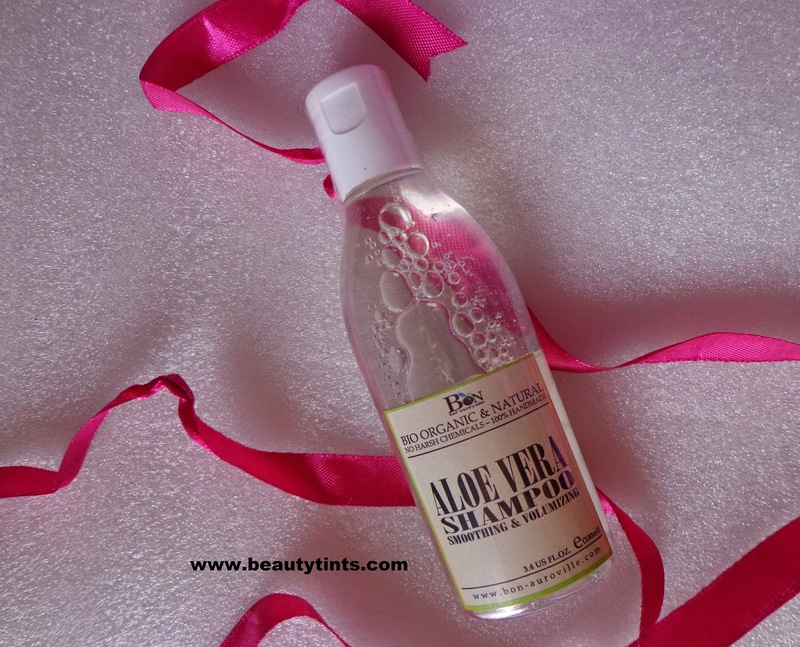 Packaging : The soap comes in a simple plastic wrap with labels on either side with the required information. Color and Texture : This is a cream colored buttery soft soap with ridges. What the Product Claims :You might love lemonade but your skin definitely loves lemon,that renews your skin. 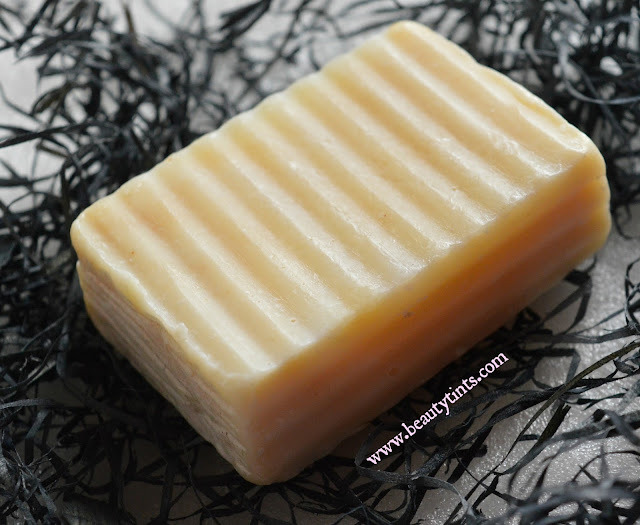 Along with olive oil that is known for its moisturizing,healing and nourishing qualities and essential oils of lemon and lemongrass, this soap gives a refreshing and nourishing start for the day. 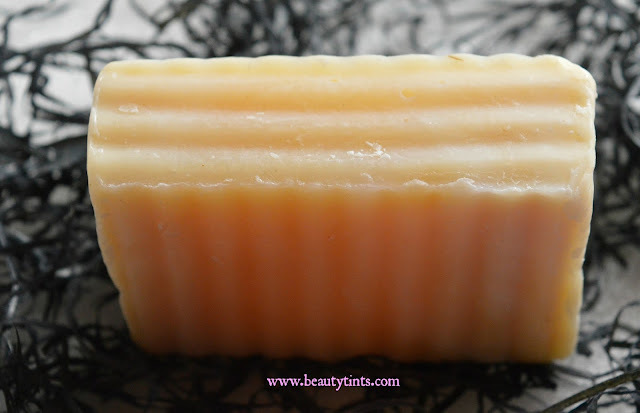 Ingredients :saponified palm oil, olive oil, coconut oil, water, milk, turmeric, essential oils of lemon, orange, lemon grass. My View On the Product :This soap comes wrapped in a simple plastic wrapper with labels mentioning all the details of the soap.The soap is off white colored with a soft texture and has ridges design all over the soap.This soap is a has a mild fragrance which is very light.It lathers into a creamy foam which is very gentle on the delicate facial skin.It cleanses the skin thoroughly making it clean and clear.It is meant exclusively for oily skin and it does its job decently.It removes all the excess oil,grime and dust from the pores efficiently and the best thing is that it doesn't strip off the essential moisture from the skin and doesn't give any stretchy feel after using it.It helps in keeping the skin oil free for long hours and it helps in healing the small acne and pimples.It is enriched with the goodness of lemon,orange,lemongrass along with coconut oil,olive oil.As this soap is devoid of harmful chemicals and artificial hardeners,it melts easily.So,we need to take proper care in drying.It is reasonably priced. Final Conclusion about Sheer Care Lemolive Facial Soap : Overall,a good organic soap with the goodness of lemon,orange and lemongrass which suits oily skin perfectly!!! 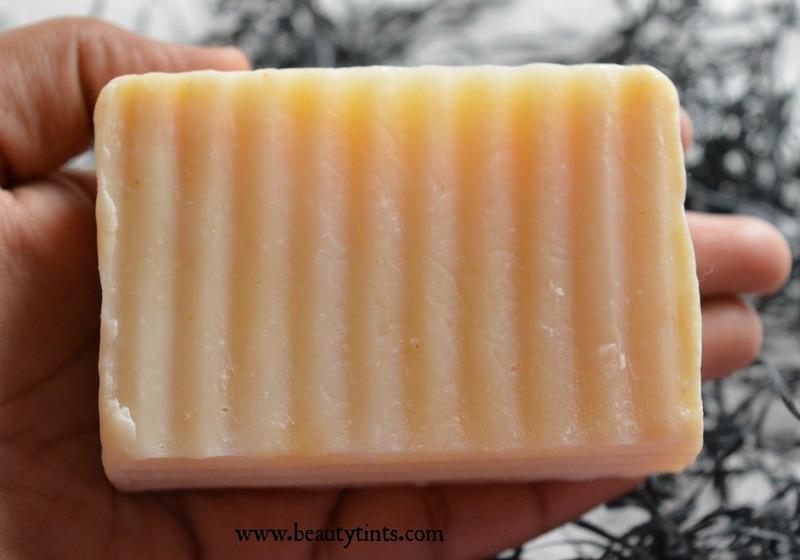 My Envy Box November 2015 Edition Review!!! 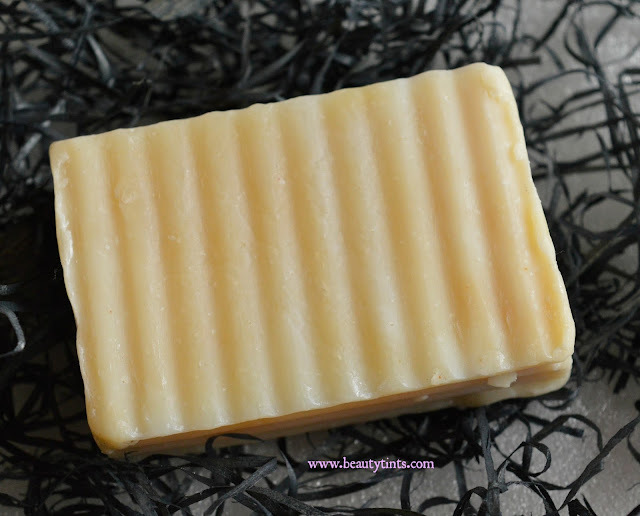 Ma Earth Botanicals Soaps Review!!! 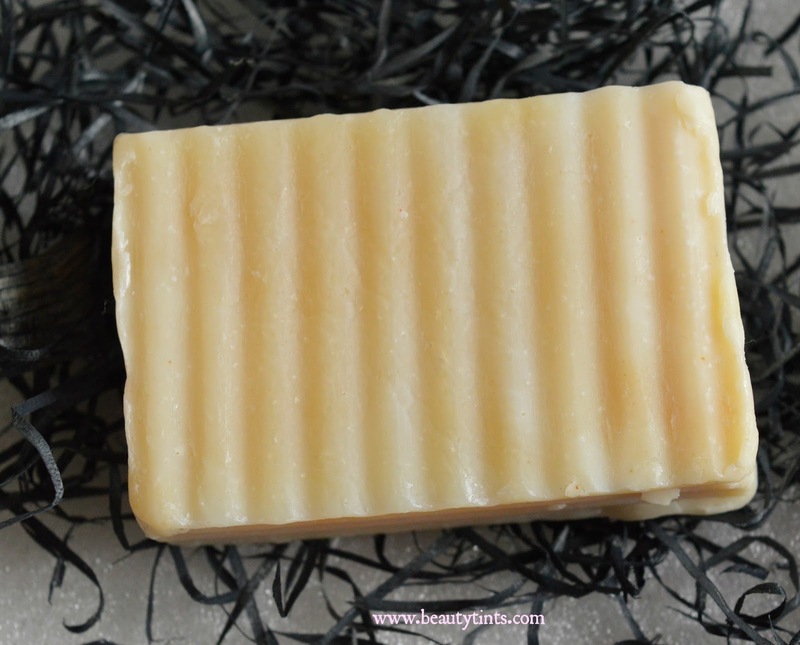 MSM Express Box November 2015 Edition Review!! !